MOSCOW, July 4. /TASS/. Moscow and Beijing call on the international community to support the Russian-Chinese initiative on tackling the Korean Peninsula problem, the Russian and Chinese Foreign Ministries said in a joint statement posted on the Russian Foreign Ministry’s website on Tuesday. 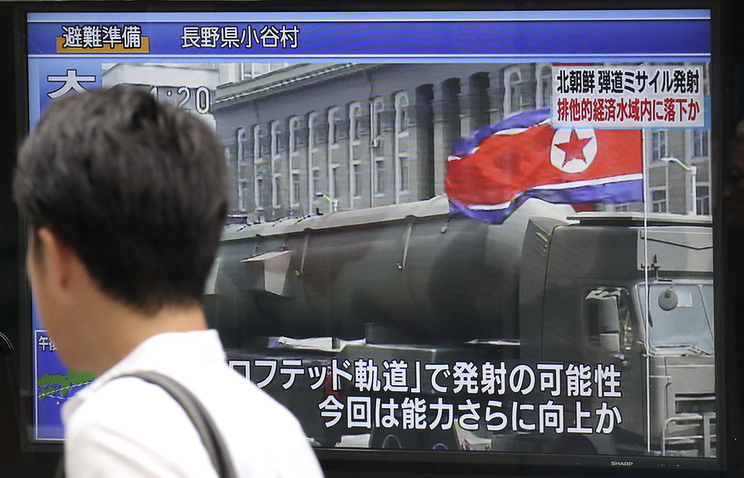 "The parties suggest that North Korea should declare a moratorium on nuclear tests and ballistic missile tests as a voluntary political decision, while the US and South Korea should refrain from holding large-scale joint military exercises," the document emphasizes. 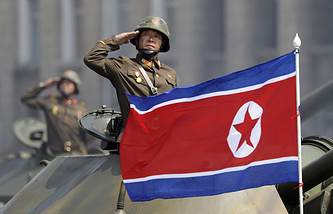 "Concurrently, the opposing sides begin negotiations and affirm new principles in relationships, including the non-use of force, renunciation of aggression, peaceful coexistence, the desire to exert efforts to denuclearize the Korean Peninsula for the sake of a comprehensive settlement of all issues, including the nuclear one." The parties urge the international community "to support the above-mentioned initiative paving the way for resolving the problems of the Korean Peninsula," the statement said. Moscow and Beijing are calling for reversing the process of deploying THAAD anti-ballistic missile defense systems in Northeast Asia, the Russian and Chinese Foreign Ministries said in a statement. 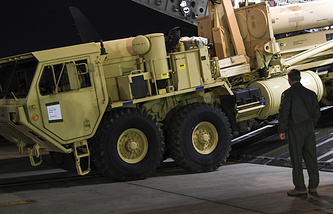 "The sides confirm that the deployment of THAAD ABM systems in Northeast Asia is causing serious damage to the interests of the strategic security of regional states, including Russia and China, and is not contributing to the attainment of the goals of the Korean peninsula’s denuclearization and, likewise, to the provision of peace and stability in the region," according to the document posted on the Russian Foreign Ministry’s website. "Russia and China stand against the deployment of these complexes and urge the relevant countries to immediately terminate and cancel the process of deployment, and have agreed to take necessary measures to protect both countries’ interests in the sphere of security, and to ensure strategic balance in the region," the statement reads.